I have fallen head over heels in love with this webseries 'Tough Love', the series evolves around 6 friends, Alicia & Quincy (The Long-Term Couple), Jordan Samuels(The Cold Heartless Single Woman), Darius & Monica(The It's Complicated/Unofficial Couple), Jackson Thomas(The Ruthless Bachelor). Tough Love is so relatable and such a attention grabber, there is never a dull moment. Now the story begins in middle of a business crisis for Alicia & Quincy, who are business partners with their company going under the two have decide that the best decision for them is to move from New York to Atlanta, their friends are too sadden about them moving away so when a great cash opportunity comes along that can keep them in the city they take up the deal without telling each other. The opportunity involves a love study about relationships that reveals their thoughts and deep dark secrets. If the truth is revealed, Will their relationship survive or die? 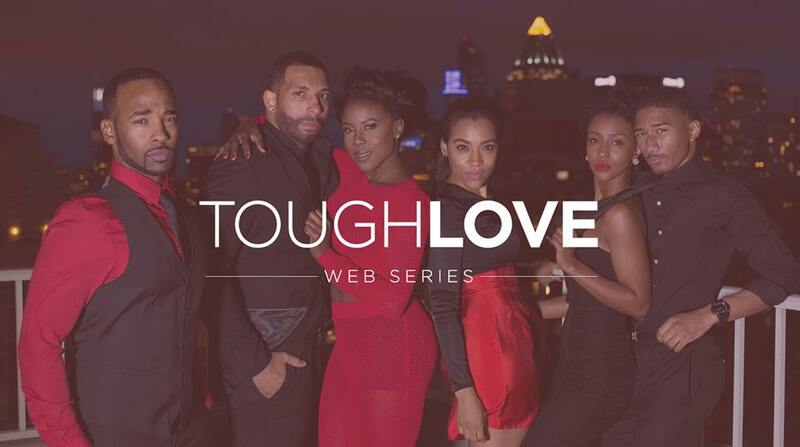 Tough Love series season 1 & 2 is available on YOUTUBE, Subscribe & Support the series. You won't regret it! I promise!